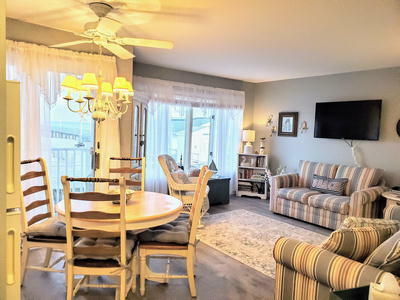 BEACHFRONT LOCATION WITH FANTASTIC OCEAN VIEWS! 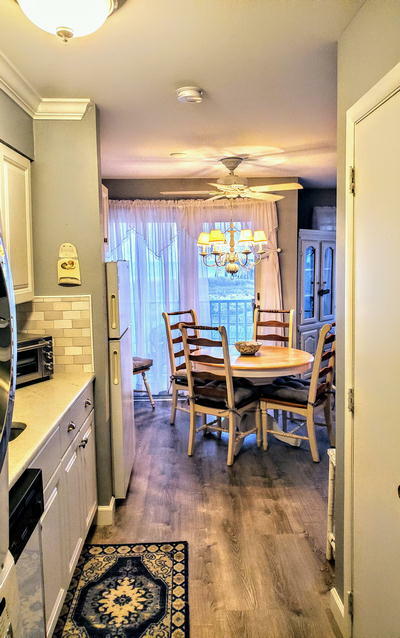 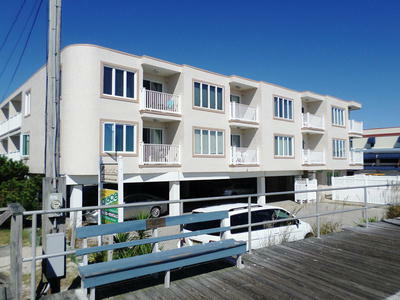 This bright one bedroom, one bath unit boasts a great Boardwalk location just steps to Ocean City beaches. 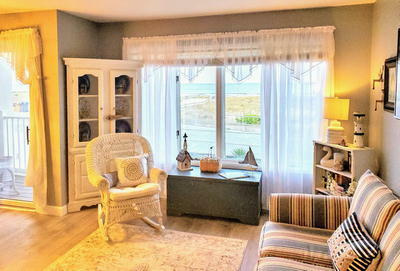 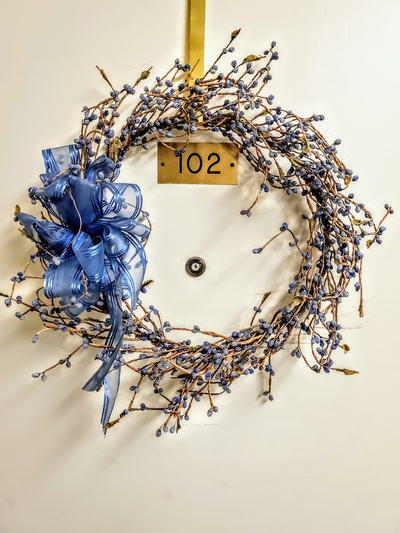 Shabby beach decor make this unit extra beachy and cozy. 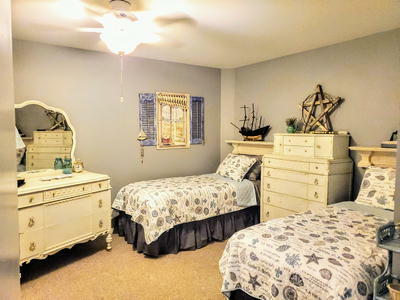 Two twin beds are in a private bedroom and a queen sleeper sofa in living room. 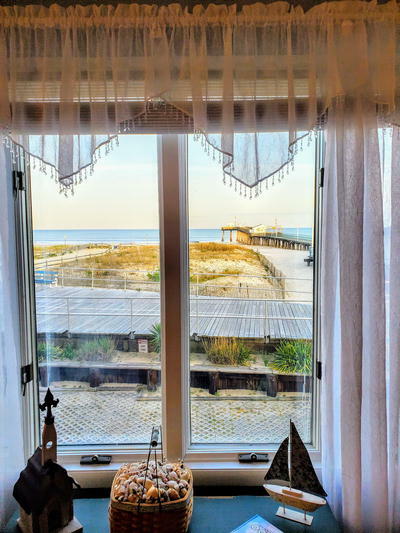 Ocean front unit with private balcony offers views of the beach, boardwalk and ocean! 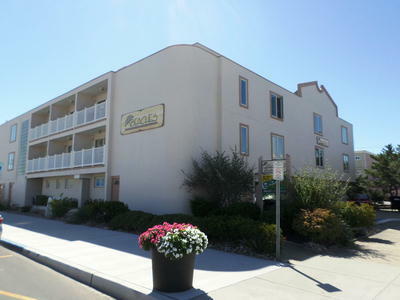 One off-street parking space, elevator, bike rack, Wi-Fi, POOL (open daily 10-5 mid-June through mid-September), outside shower. 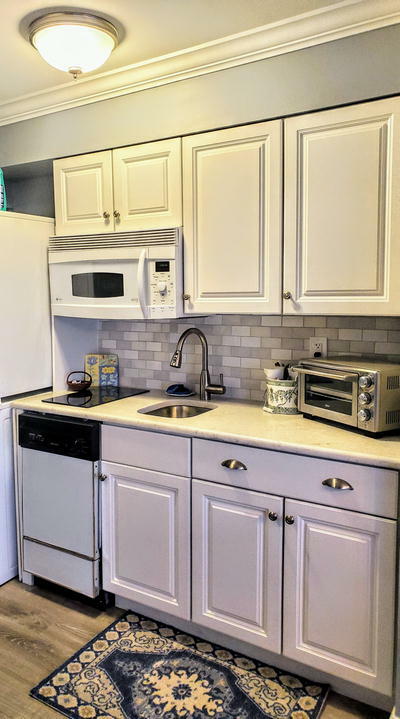 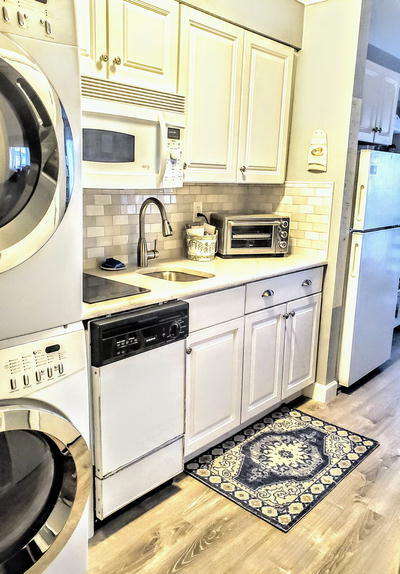 Unit features private bedroom, in-unit washer/dryer, dishwasher, full size fridge, central air. 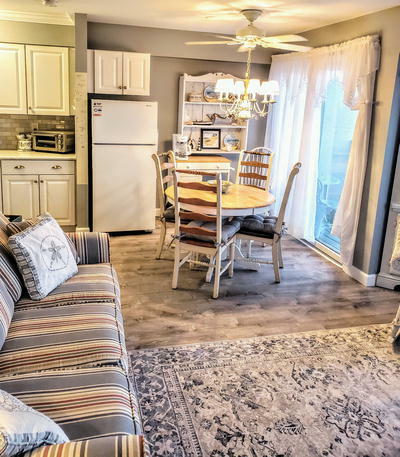 Book now, these units go quickly!